“If in the eyes of the world they (the poor) have little value, they are the ones who open to us the way to heaven; they are our ‘passport to paradise’". Want to go to paradise? If your answer is yes, then you should start getting prepared to procure a passport. And on that, the leader of the catholic church has some tips to share with you. The number one tip, is helping the needy and the poor, said Francis. He said this when he welcomed the poor, homeless and unemployed as guests of honor for a Mass and gourmet meal in the Vatican on Sunday. 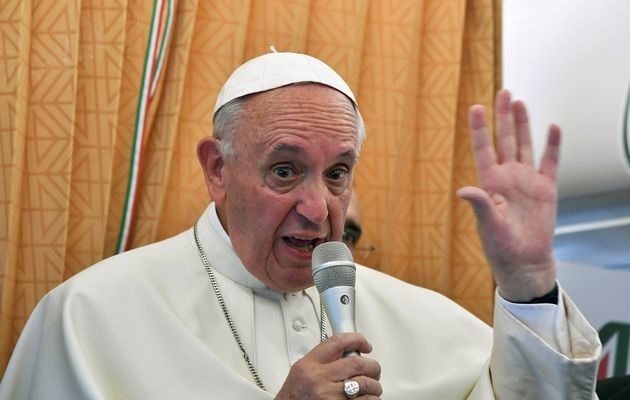 Francis celebrated a Mass marking the Roman Catholic Church’s first yearly ‘World Day of the Poor’, which the pope established to draw the attention of the world’s 1.2 billion Catholics to the neediest. Volunteers from charity organizations brought about 7,000 needy people to St Peter’s Basilica for a special Mass celebrated by the pope, who has made defense of the poor, immigrants and downtrodden a major plank of his papacy. About 1,500 of them were having lunch with the pope in the Vatican’s large audience hall and others were being taken to eat as guests in nearby pontifical colleges. Most of the needy people were from Rome and other parts of Italy but charity groups also brought groups from France, Spain, Germany and Poland but none from Africa where the world’s poorest live. “If in the eyes of the world they (the poor) have little value, they are the ones who open to us the way to heaven; they are our ‘passport to paradise’. For us it is an evangelical duty to care for them …,” he said in his homily. “God will not ask us if we felt righteous indignation, but whether we did some good,” he said, labeling indifference as a sin of omission.